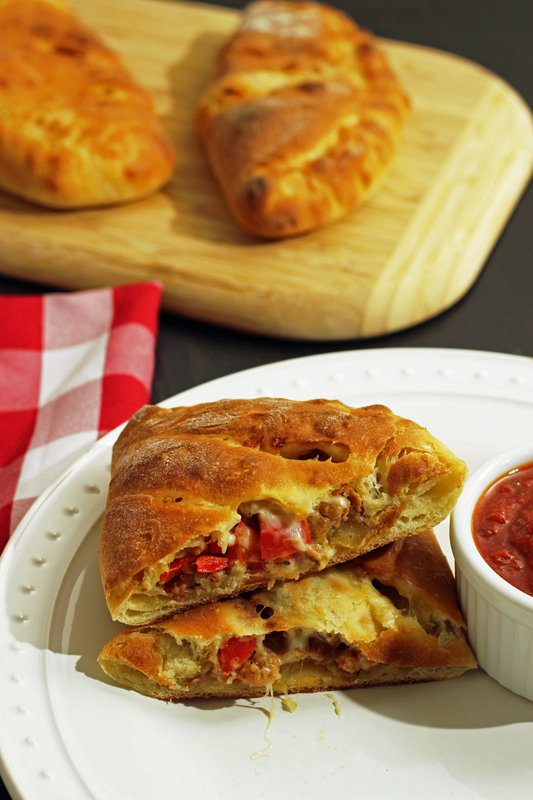 Give pizza night a little twist by baking up these meaty Calzone with Sausage and Pepper. 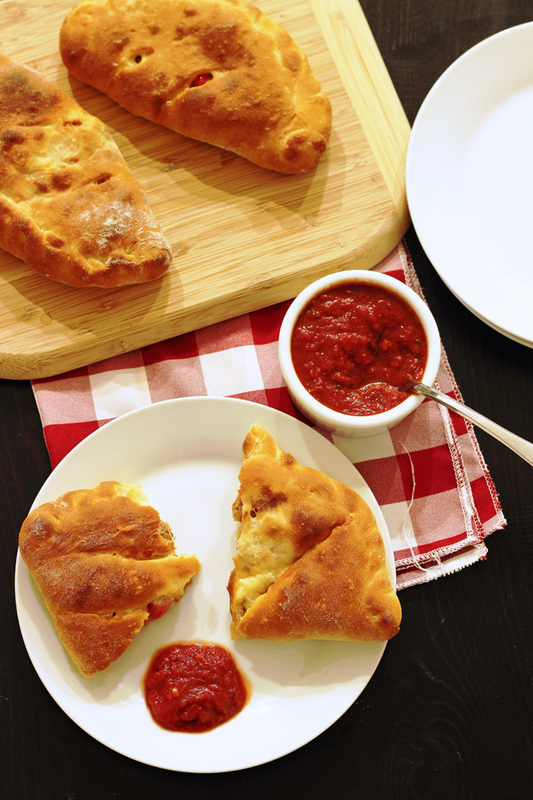 These perfect Italian hand pies are delicious dipped in homemade red sauce. I grew up in a large family, lived in the same house for all my childhood, and ate at the same hometown restaurants whenever we dined out. It wasn’t until I went to college that I realized all that was out there in the world of food. This was, of course, the days before the internet, Amazon, or even cell phones for the masses. It was also 1990 when iceberg lettuce was ubiquitous, and the popular flavor profiles were limited, even in Southern California. I don’t think we really knew what wonders were available throughout the world. 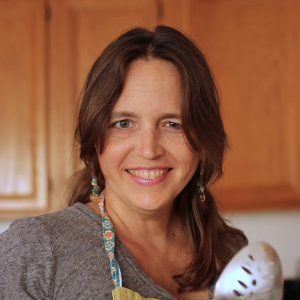 When I headed to college 25 years ago, I was a girl with a fairly limited culinary experience. I mean I didn’t even know how to use fresh garlic. My family always used garlic powder. I remember weekends in college, going out to dinner with the girls. It was Santa Barbara and we had spending money. That year was the first time I had ever heard of, let alone ate, a calzone. I’ve been a fan of calzone ever since. These Italian hand pies are basically an inside-out pizza and a fun way to mix up pizza night. I’ve made calzone in fun shapes before, like this Fish Calzone that was a huge hit with my family. But usually, I just make them single serving hand pies that we dip in a delicious, homemade red sauce. You can vary the fillings however you like in calzone. The first one I ever tasted was filled with ricotta and herbs. 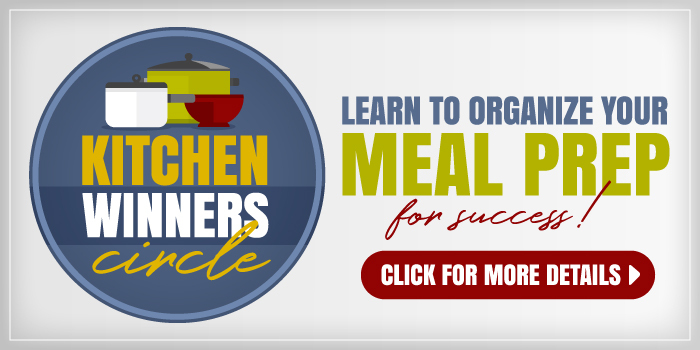 You can use meats, vegetables, or cheese. The fun thing about making them single serving is that everyone can have it exactly the way he likes it. Just be sure to try this yummy sausage and pepper filling. So good! a KitchenAid mixer to mix up the dough, but you can make it by hand, too. In a large nonstick skillet over medium heat, heat the oil until shimmering. Add the sausage, onion, and pepper, and cook, stirring, until the sausage is no longer pink and the onion has become translucent. Season to taste with salt and pepper and the herbes de Provence. Allow to cool. On a lightly floured surface, divide the dough into eight portions. Form each portion into a ball and allow to rest while you form the calzones. Preheat the oven to 475 degrees F and line baking sheets with parchment paper. 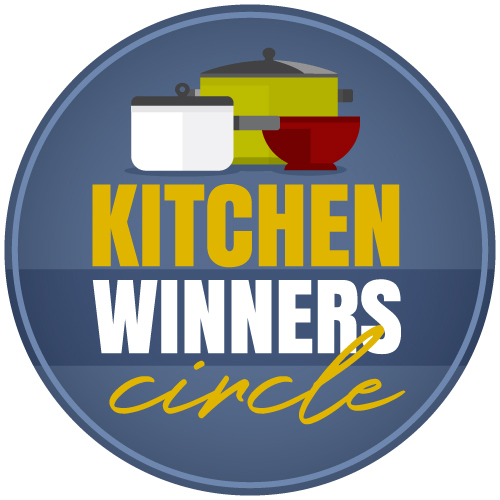 Roll each dough ball into a 6-inch circle. On half of the circle, leaving a border around the edge, place 1/2 cup of the sausage mixture and 1/4 cup cheese. Fold the empty half of dough over the filling and crimp the edges. Place the calzone on the prepared baking sheet and continue forming the calzone. Once they are all formed and placed on the baking sheets, about 2 inches apart, cut two small slits in the top of each one to allow steam to escape. Bake the calzone for 10 to 12 minutes or until the crust is golden brown and the cheese is melted. Serve hot with warm pizza sauce. I made calzones for my frozen dinner club this month and used your red sauce recipe for the dipping sauce. It was GREAT with the calzones! These look great! I tried making puff pastry calzones a few weeks ago, but we did the tomato sauce on the inside, and it was a little too much in terms of acidity. So I may have to try it your way! However, there are only 2 of us, so how would you recommend making ahead & freezing? Can I form them all & then freeze them? Cooked or uncooked? Or would it be better to freeze the dough in portions & the sausage mixture in portions, then make them when we want them? Cheers! I like to freeze them baked, just a little on the light side. They will taste best fresh, but still good from frozen. You could always make a half batch pretty easily as well. Thank you for sharing! Can these be assembled in the afternoon and refrigerated until dinner? I think you could pull it off if you chilled the filling first. If it was warm at all, I think it would make the dough soggy.